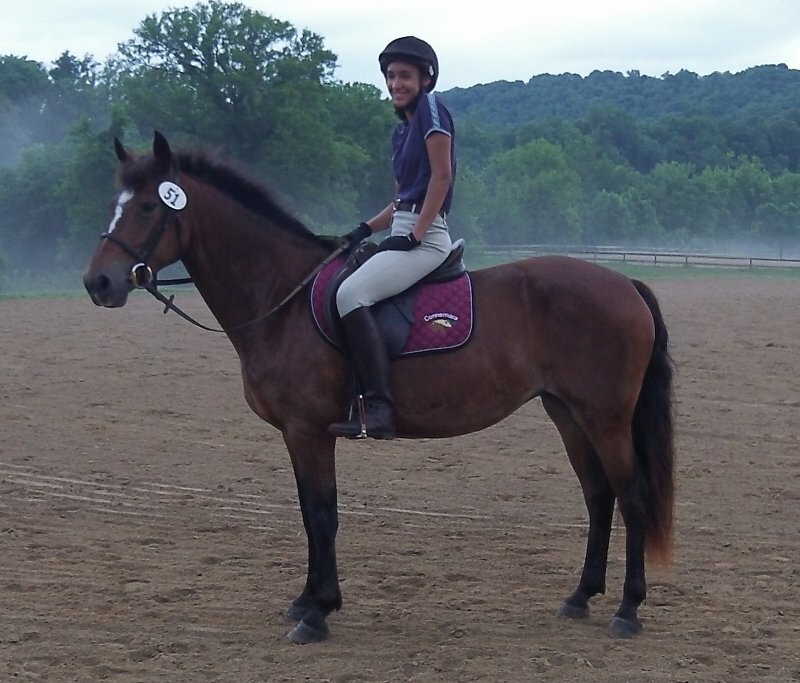 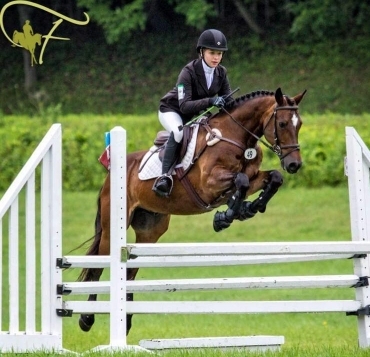 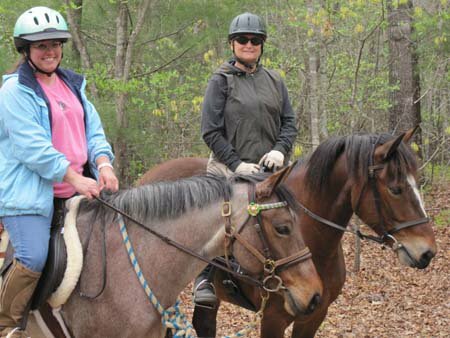 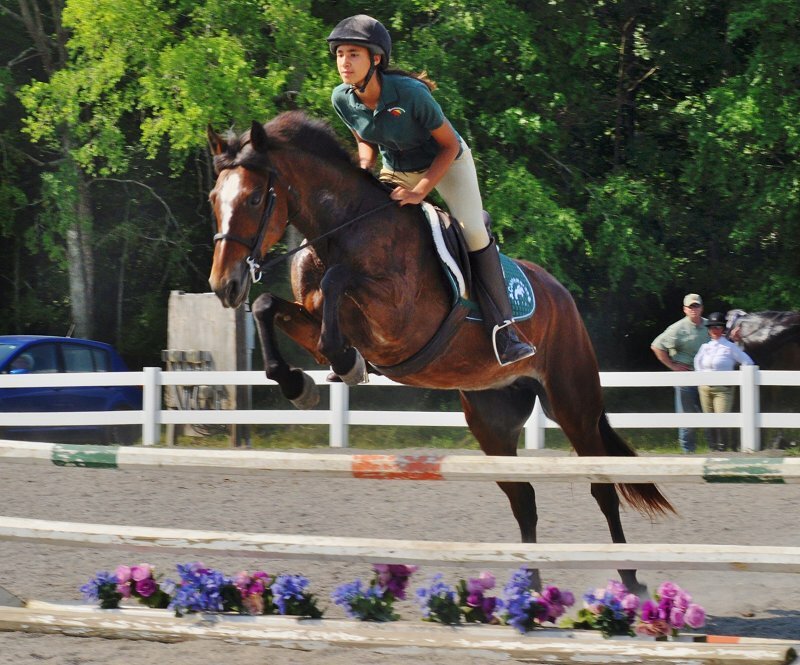 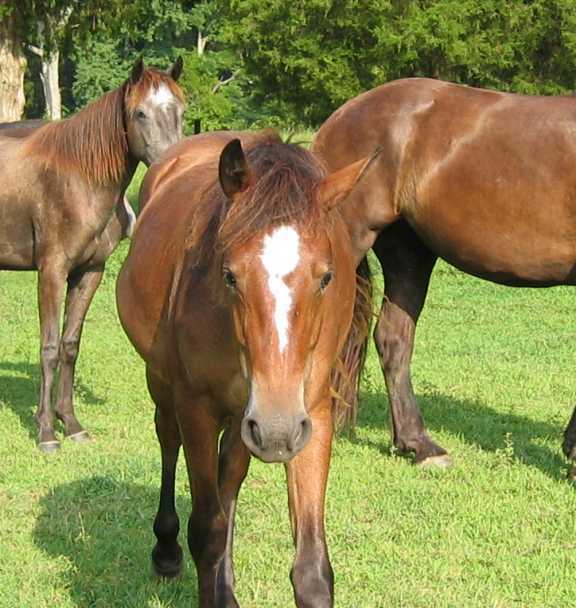 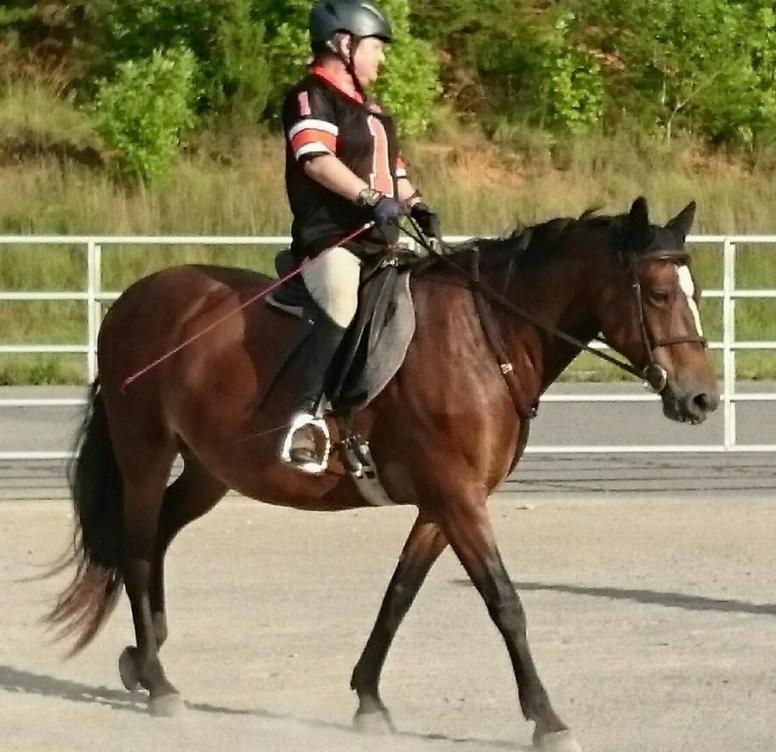 CoStar is a true all-purpose Connemara mare who has proven to be a safe and willing partner in eventing, combined driving, mountain trails, local hunters and breeding. 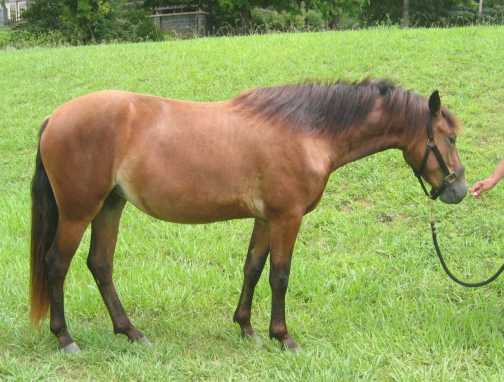 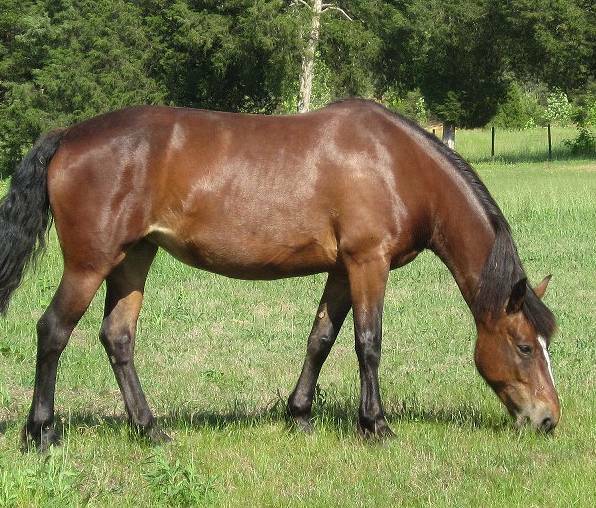 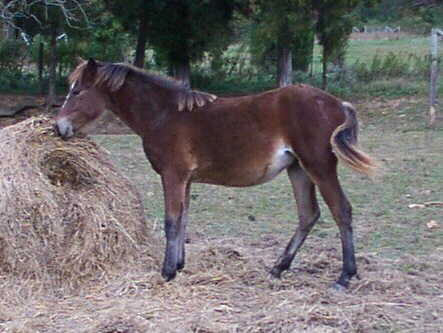 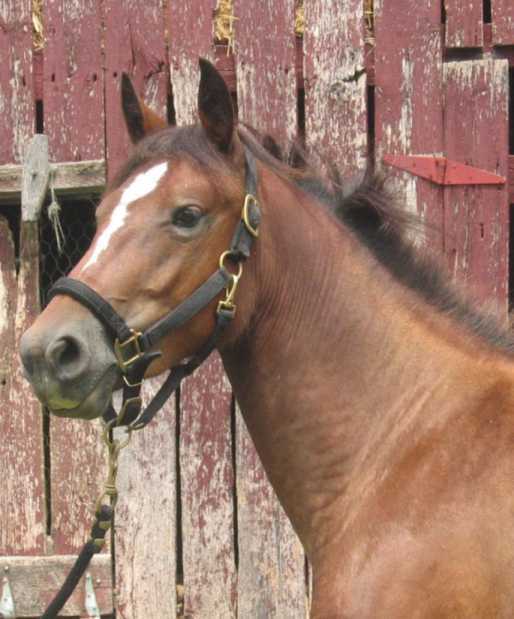 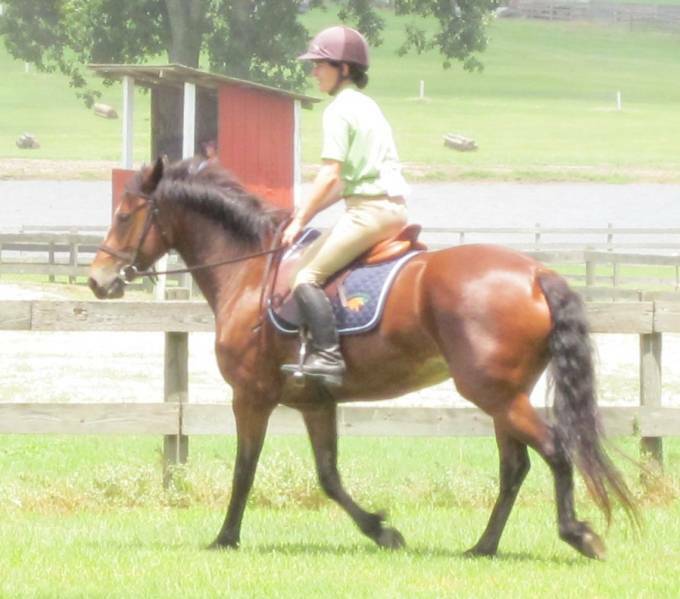 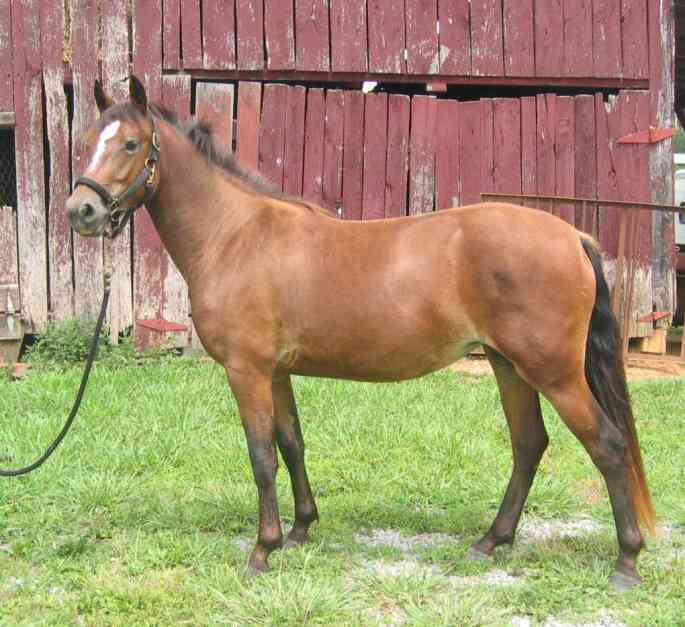 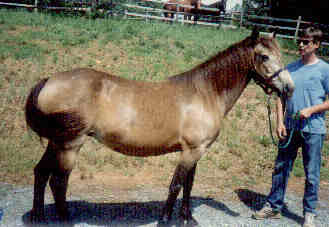 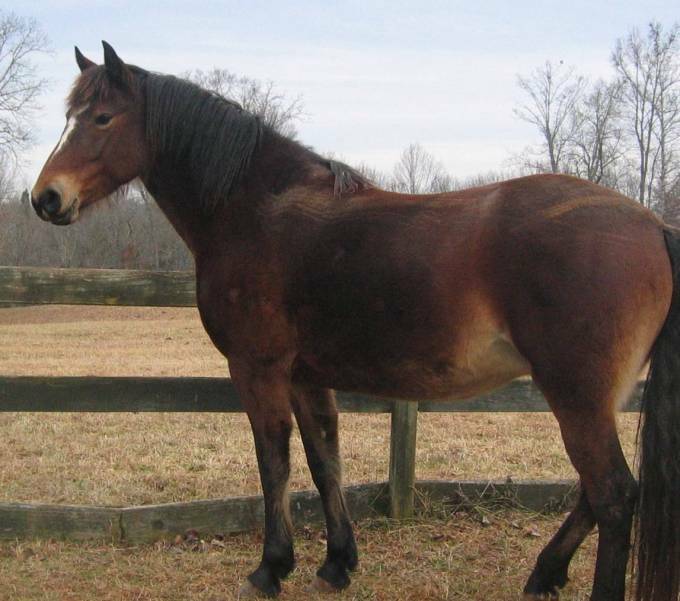 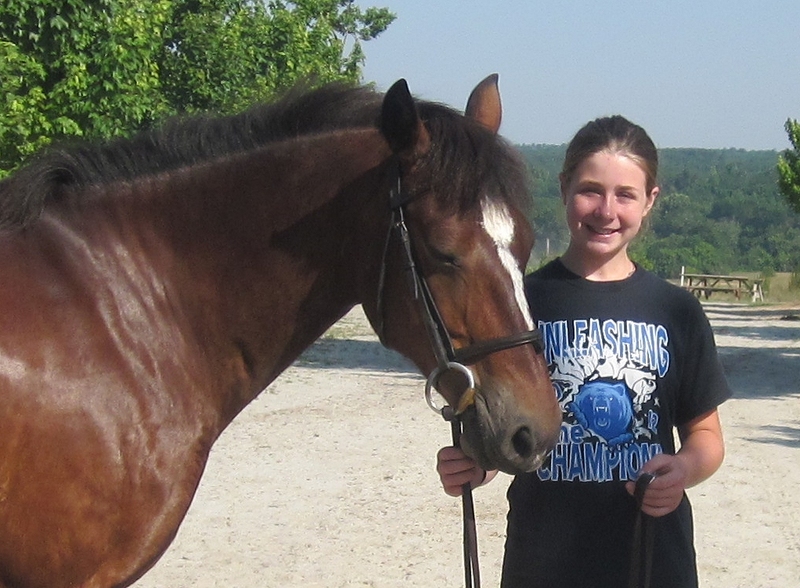 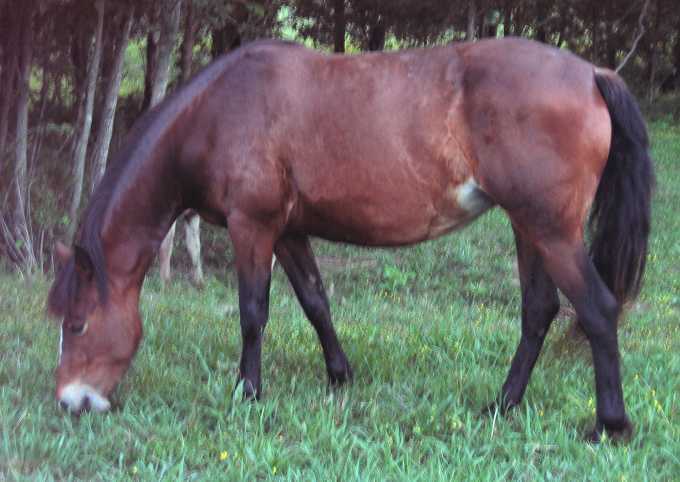 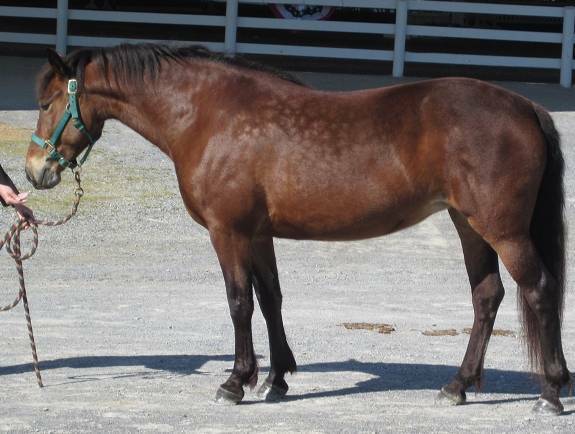 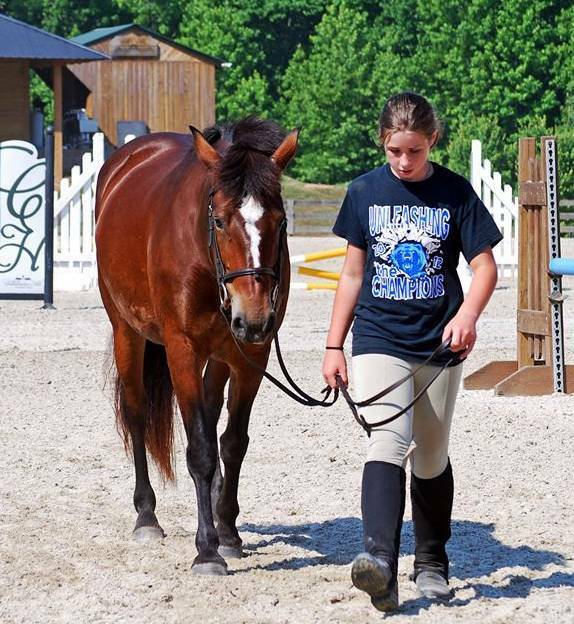 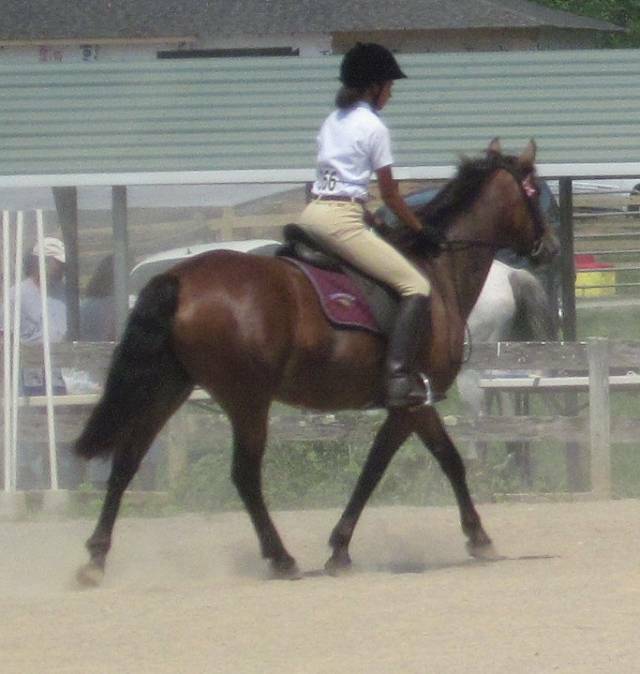 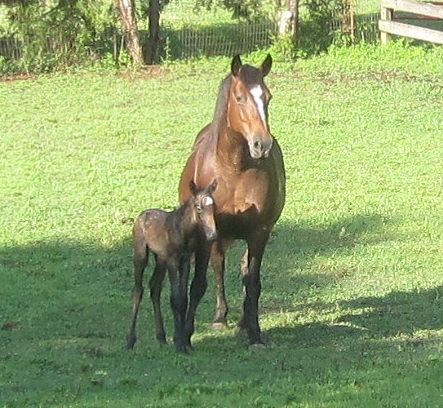 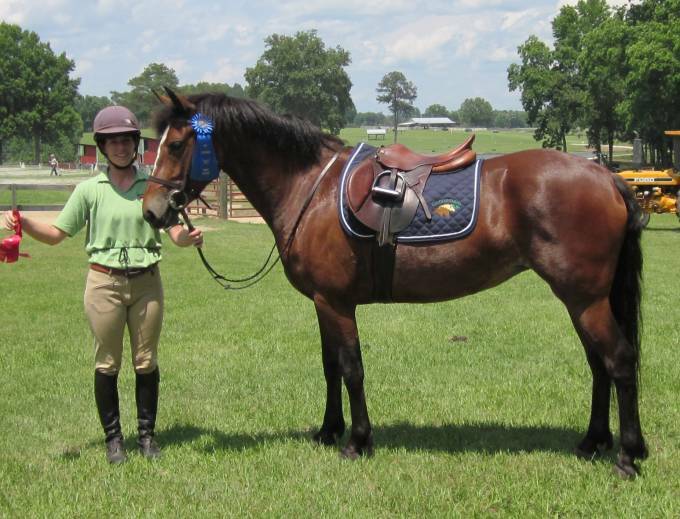 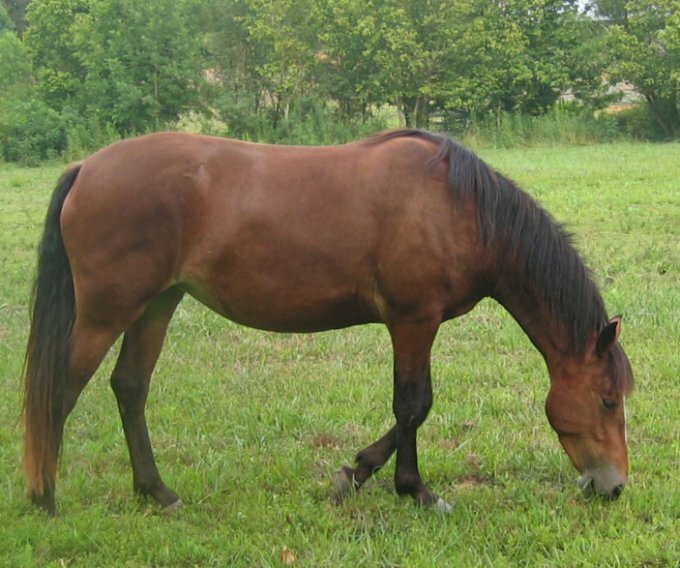 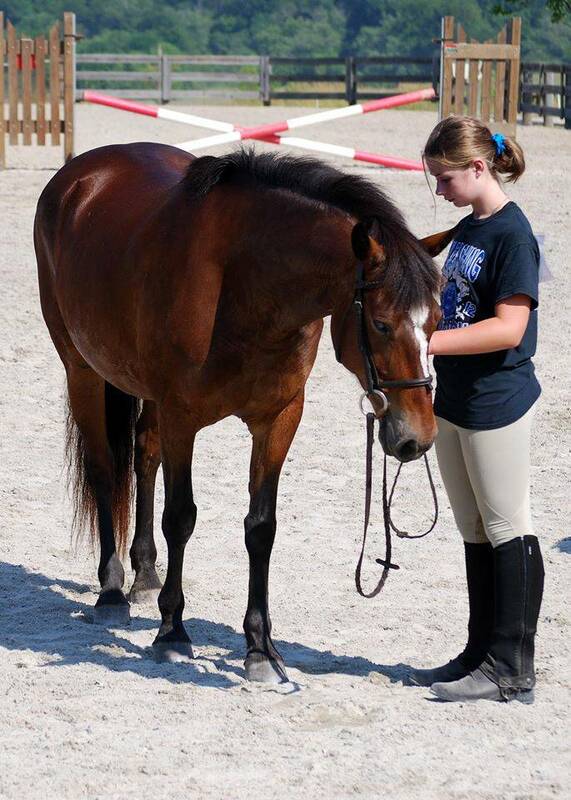 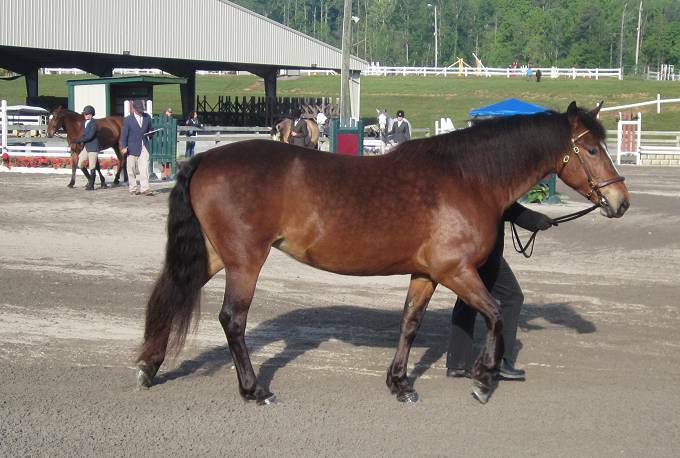 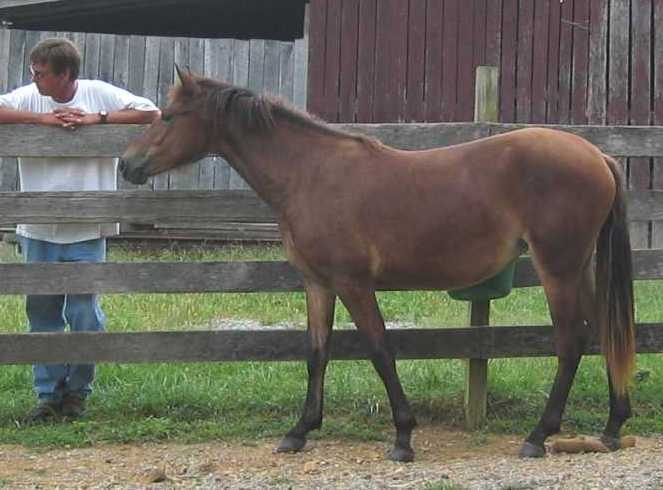 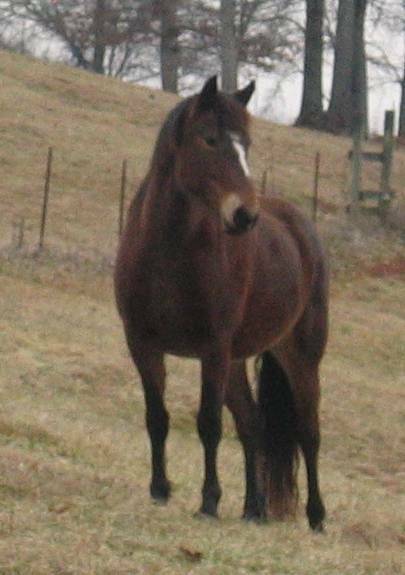 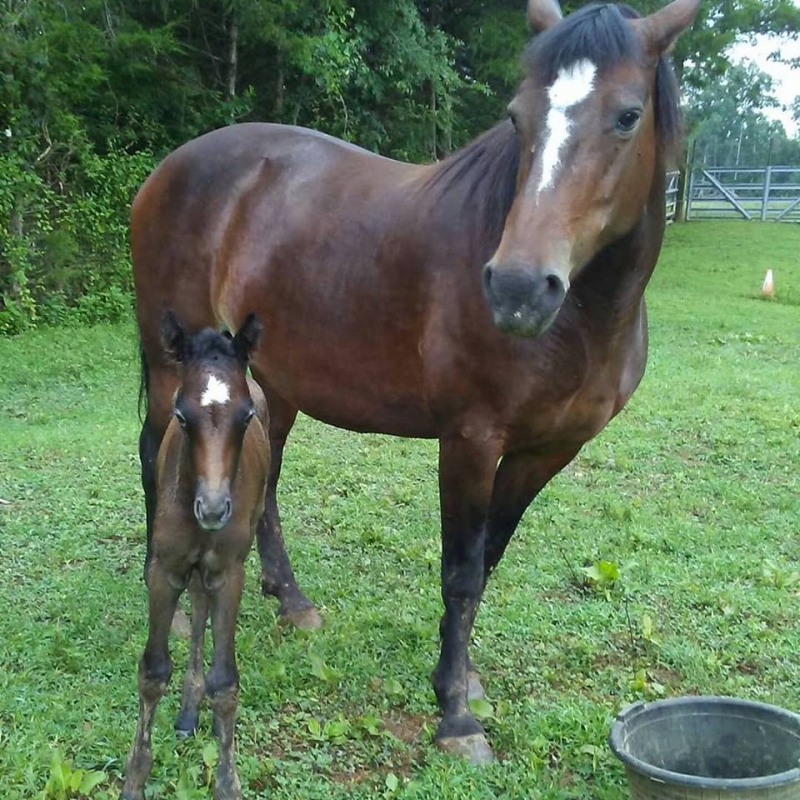 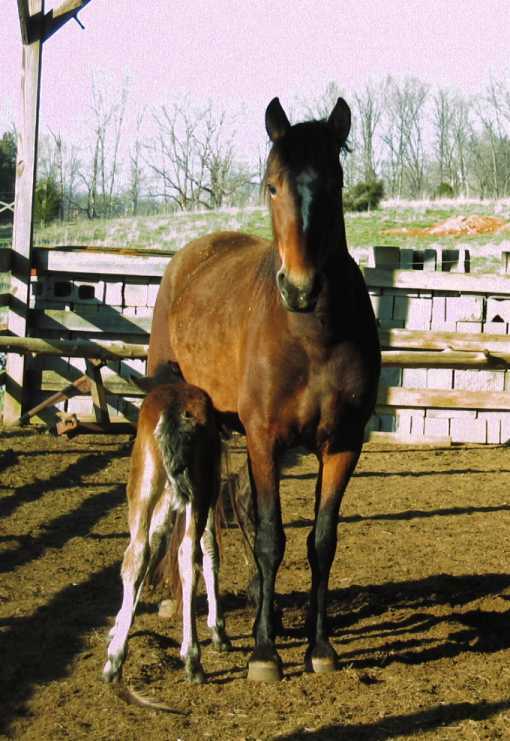 Also, she has earned a Certificate of Achievement In-Hand and has been inspected and approved by the American Connemara Pony Society, as well as both her sire and dam. 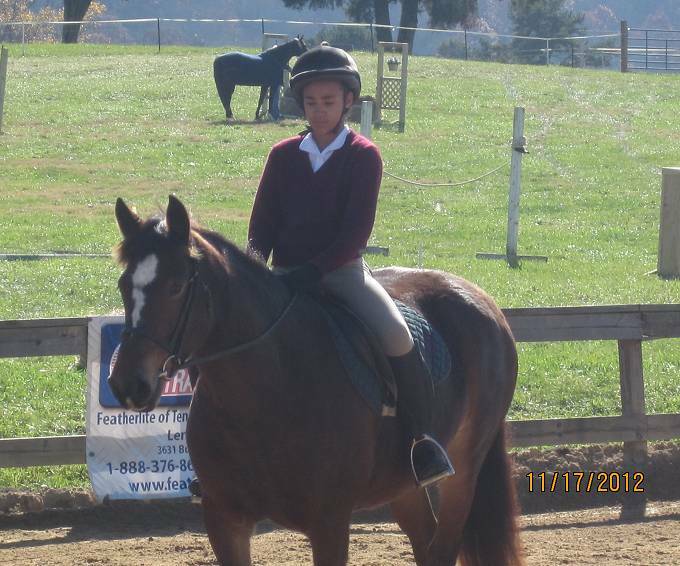 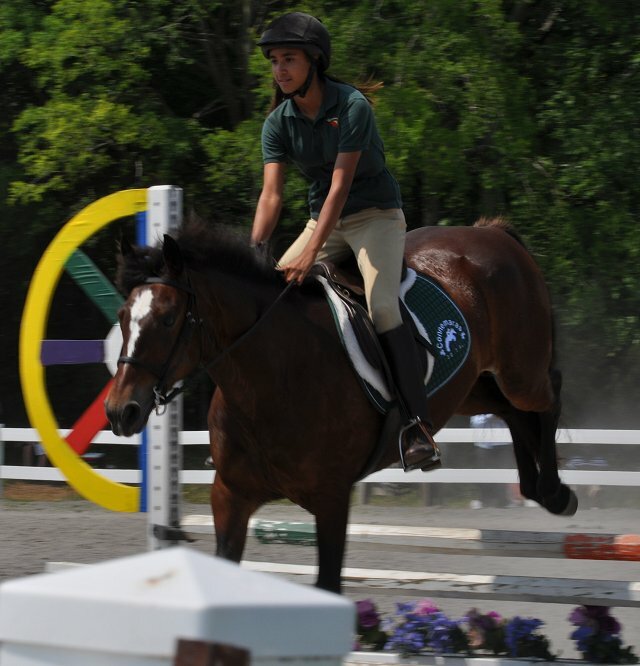 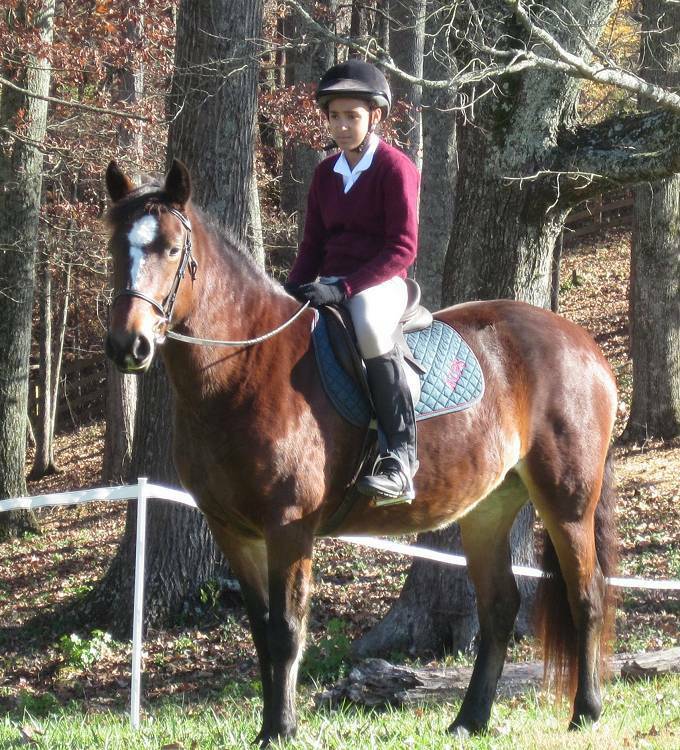 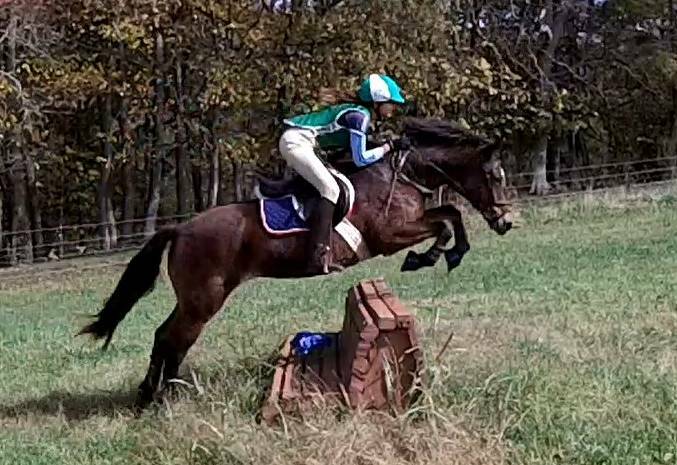 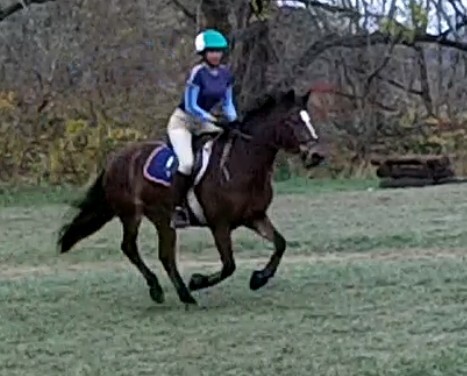 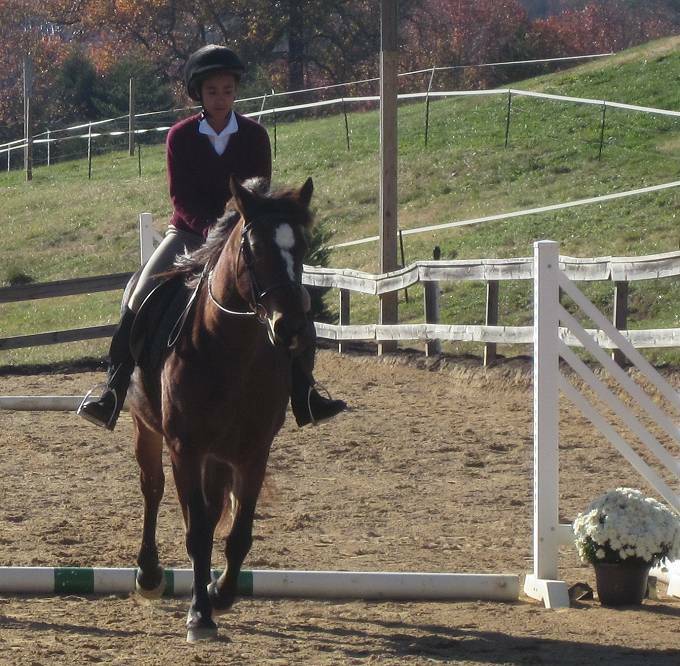 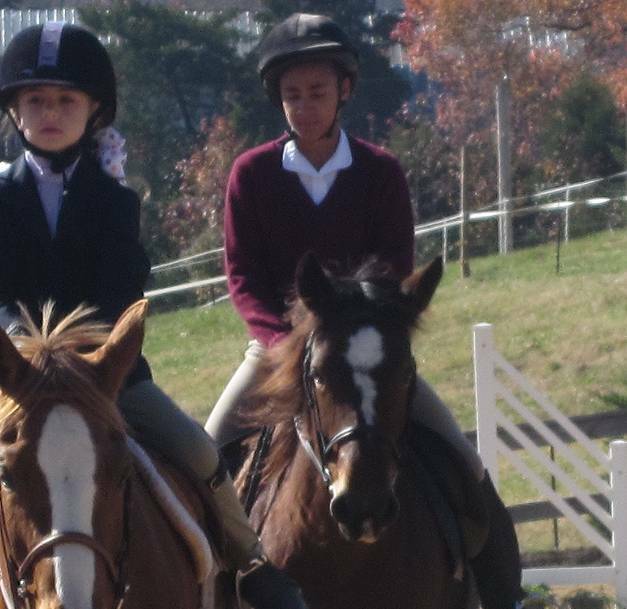 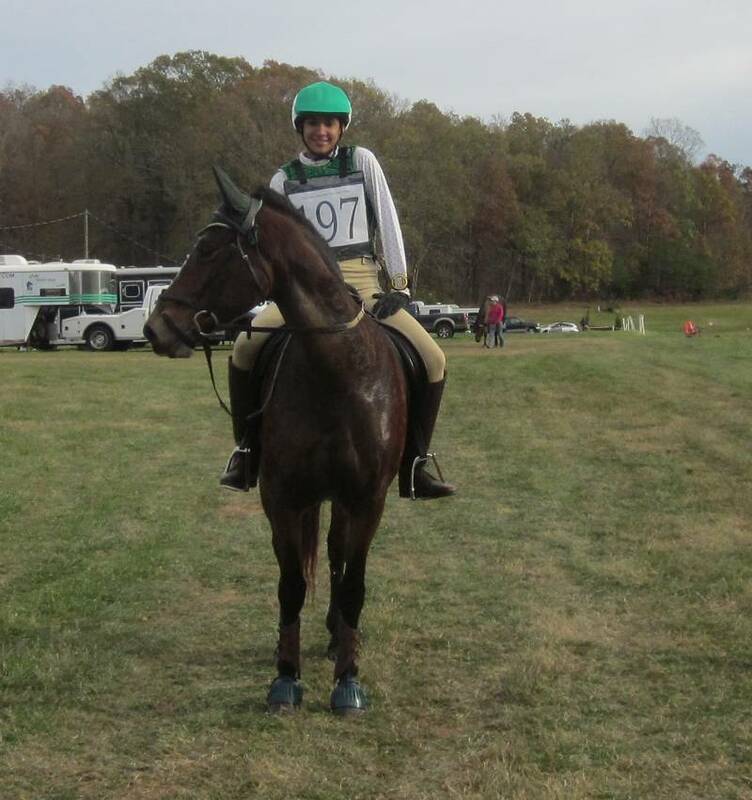 Brionna earned the 5th place ribbon in a hotly contested JrBNR division at the 2015 USEA River Glen Fall Horse Trials riding Corner Oak Celtic Star in her first event. 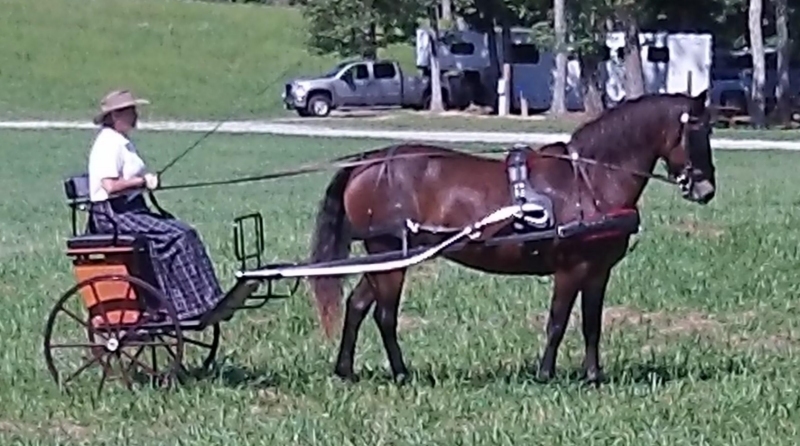 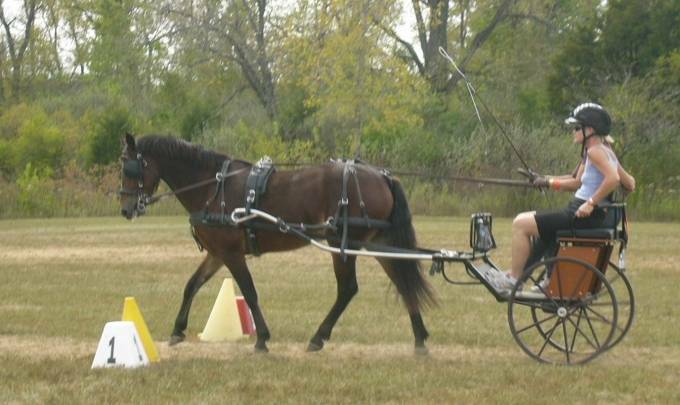 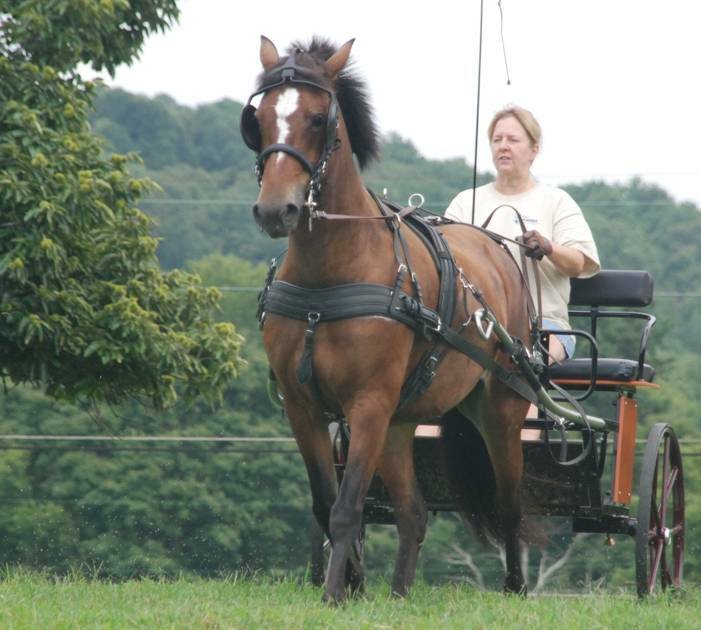 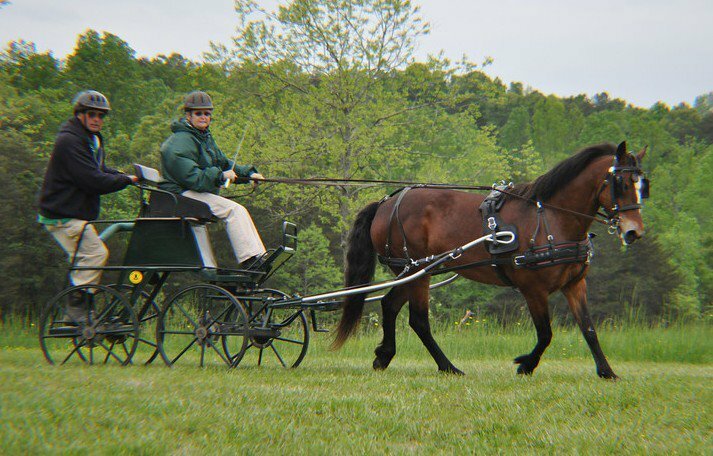 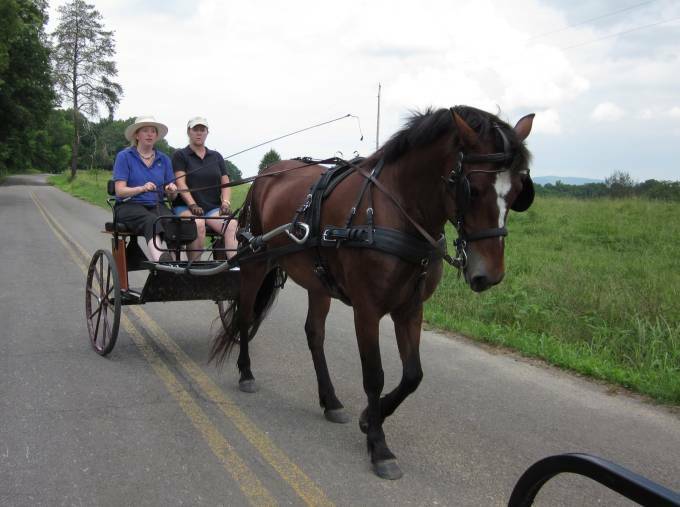 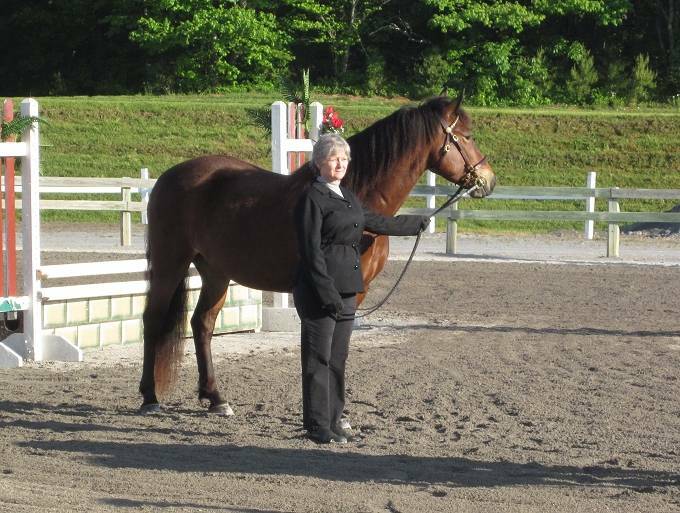 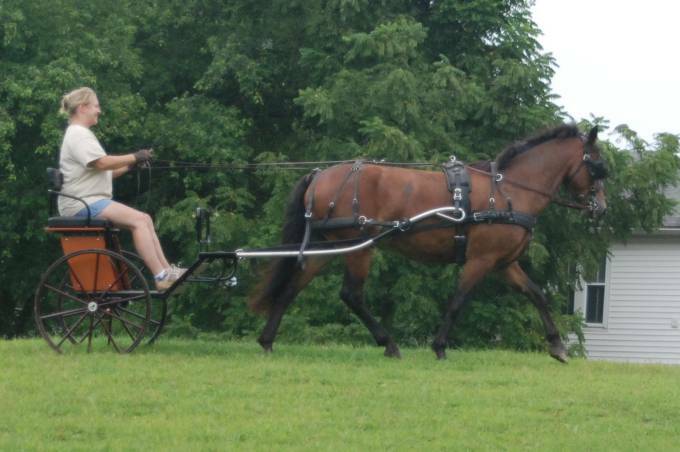 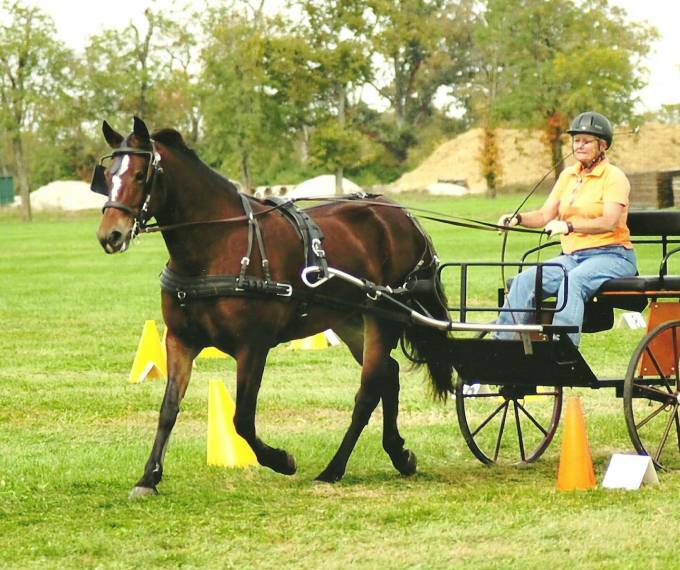 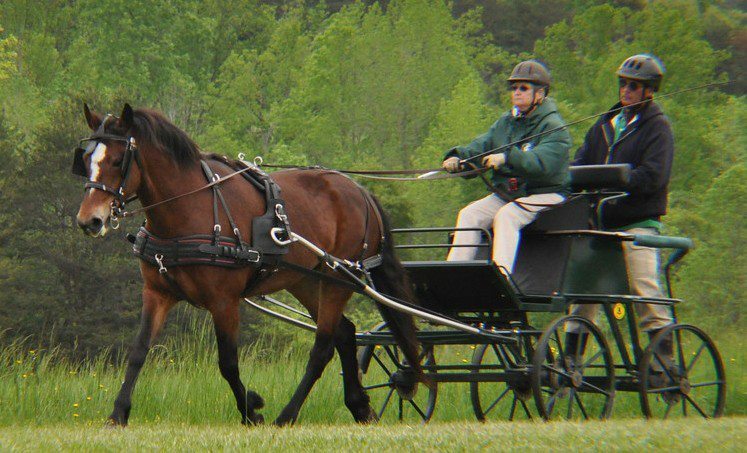 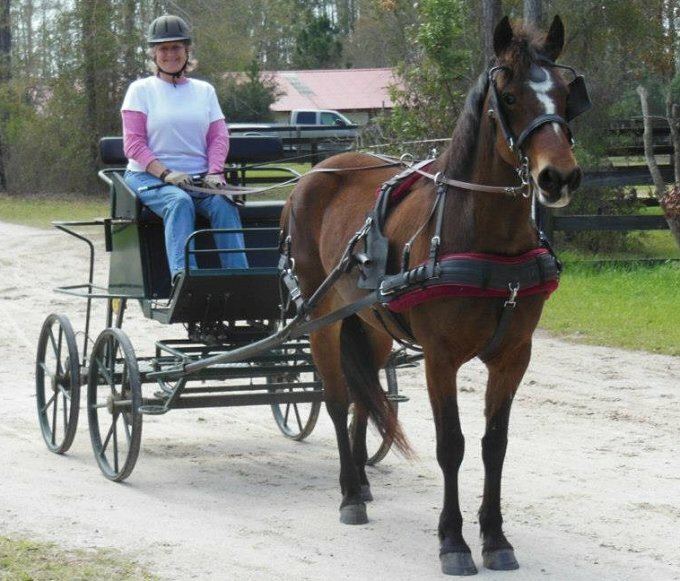 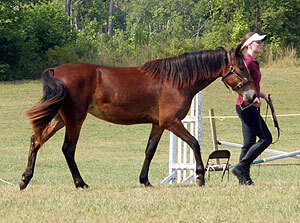 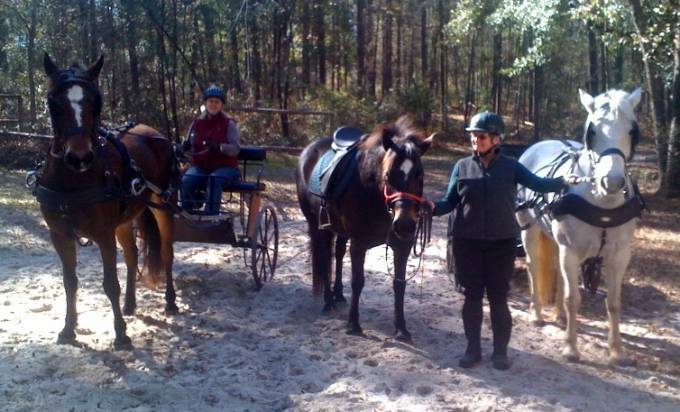 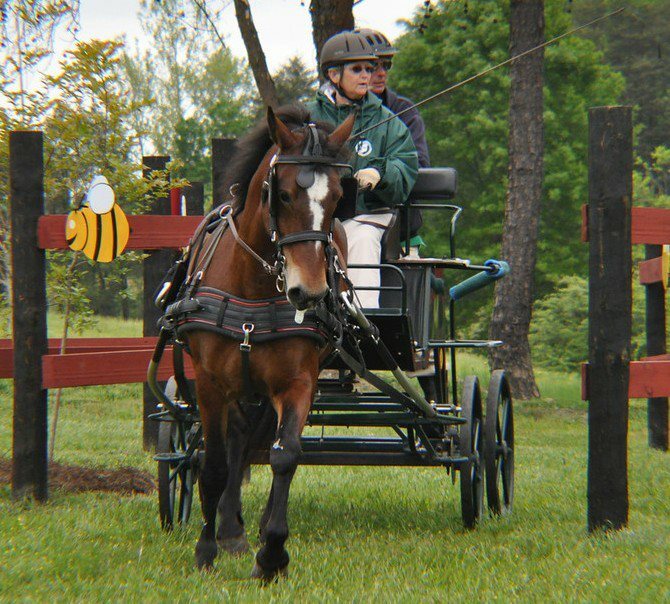 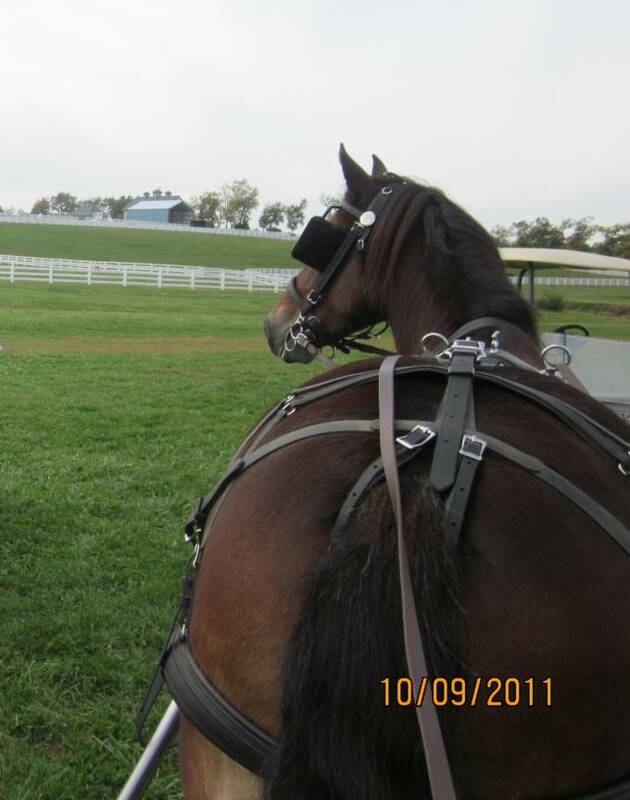 Carolina Carriage Club HDT at Windridge Farm (NC) - She finished in 2nd place at her first driving competition! 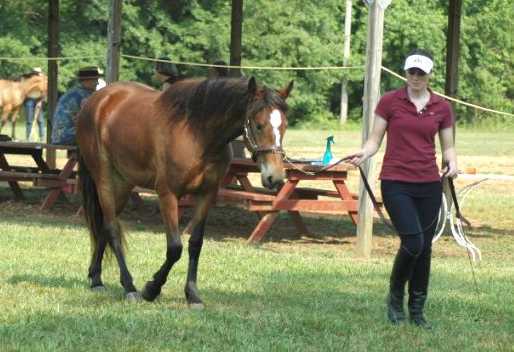 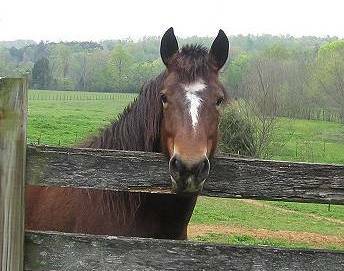 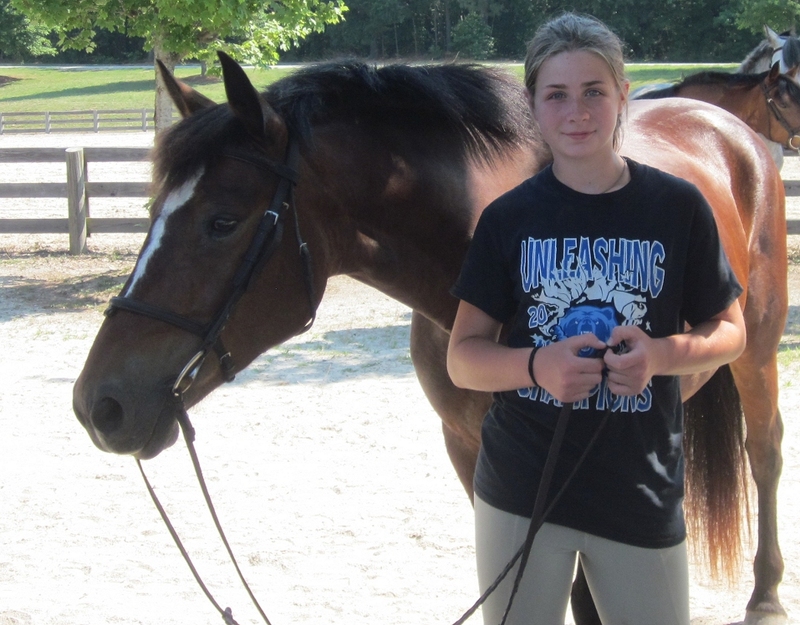 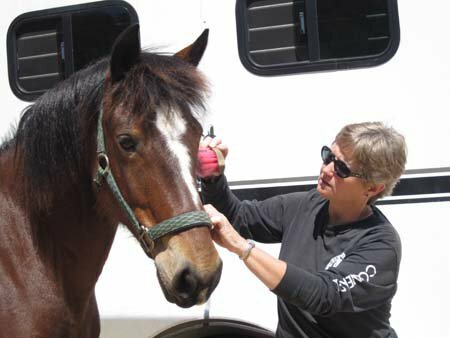 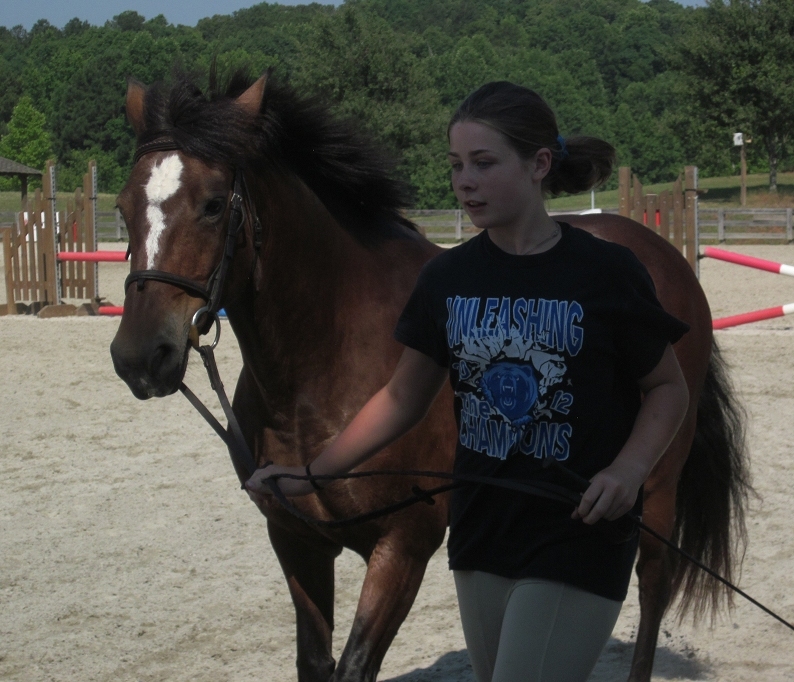 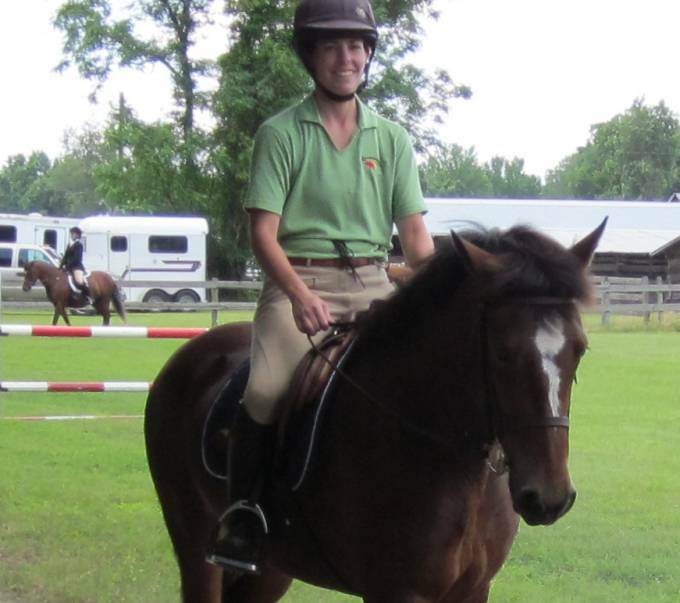 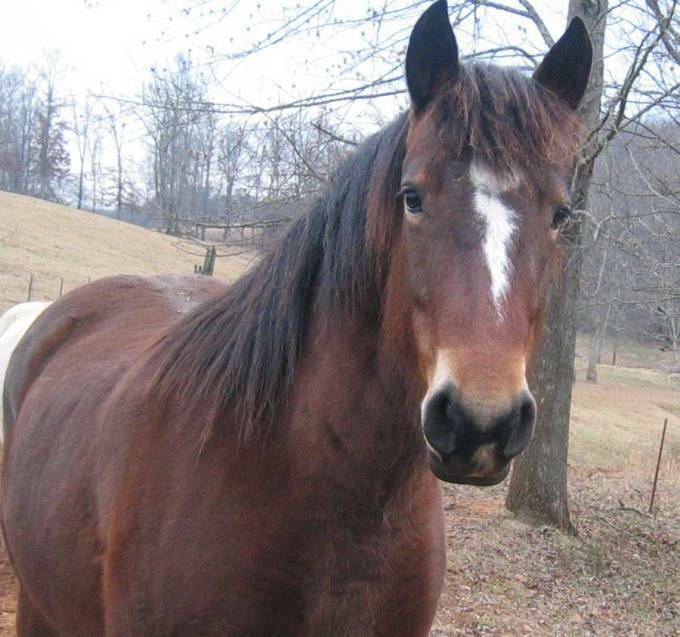 CoStar started her performance training in the summer of 2010, Rachel Nicely of Riverplains Farm, then later spent time with Ashley Jenkins. 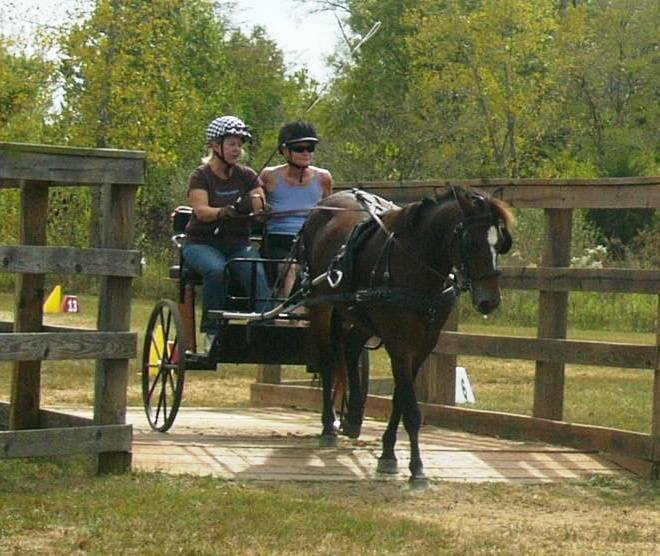 (below) Carole taking CoStar over her first bridge at the 2010 National Drive in Indiana. 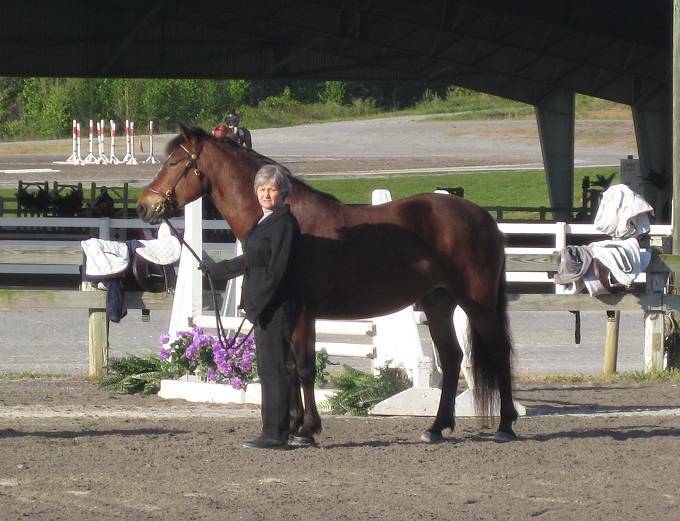 Corner Oak Celtic Star was 2nd place 2 yr old Purebred, 2nd in Baby Obedience and 2nd in Get of Sire, with Corner Oak Lydia.